Customers expect smooth services when traveling. But when a journey includes multiple forms of transport from different providers, it can be a struggle to meet this expectation. DB Systel and IBM are building an open mobility ecosystem using blockchain technology to create new business opportunities and transform the transport industry. People are more mobile than ever and demand that public transport is fast and convenient. How could DB Systel and IBM make journeys involving multiple forms of transport seamless and less cumbersome? DB Systel and IBM focused on driving innovation and creating a first-mover advantage in public mobility by enabling transparent business networks between service providers using blockchain technology. Be it the daily commute to work, a longer journey for business or a short break over the weekend, many people all over the world increasingly rely on public transport to get around. Being able to easily choose the most convenient travel option makes booking online and via mobile apps very attractive. However, when journeys consist of various transport modes, such as rental bicycles, buses, regional and long-distance trains, flights, taxis and others, each run by a different geographically distributed mobility company, buying, managing and validating tickets becomes difficult and time-consuming for customers. And from the perspective of service providers, tasks such as allocating revenues and rebooking customers automatically become even more complex in the event of a missed connection. DB Group is a leading mobility company in Europe, and its IT service provider DB Systel works with a wide range of international, regional and municipal mobility businesses to ensure a seamless travel experience for nearly 12 million passengers per day. With growth rates of 60 percent per year, mobile ticketing via apps is quickly becoming an essential distribution channel. Creating a smooth customer experience through simple apps and real-time feedback to the customer – and all connected mobility companies – was a key priority when DB Systel, the digital partner of the DB Group, together with its strategic partner IBM, when sketching out an open distributed travel platform for the future. While at first the focus will be on connecting transport services to provide a seamless experience for customers, IBM and DB Systel are already thinking ahead by considering extensions to the platform to solve additional business challenges. Reducing the complexity of travel and offering individuals a full-service customer experience from the starting point to the destination could include many other optional services to create value – from a ready-to-collect coffee at the station to mobility assistance when carrying a lot of luggage. DB Systel’s idea was to establish a new, open ticketing platform and allow for faster and deeper integration between different mobility companies. It quickly emerged that blockchain was the most promising technology to tackle the complex challenges. As part of a group-wide optimization and innovation program, DB Systel set up an agile, cross-disciplinary blockchain project team to work closely with its strategic partner IBM Services. Building on the blockchain platform, the concept by IBM and DB Systel uses smart contracts which represent business logic that can be integrated into the architecture and triggered by, for example, ticket transactions. Daniel Kindler, Blockchain & DLT Solutions, DB Systel GmbH, confirms: “Blockchain technology in combination with smart contracts will help to solve critical challenges in the transport industry by transforming and automating, for example, revenue allocation and ticket validation processes. It is a major task to get all internal departments and external mobility providers on board to work out the details of the smart contracts. Nevertheless, once everyone agrees to the allocation rules, the new solution will substantially reduce operating costs for every business using the open blockchain platform." In the future, customers will be able to use a simple app from any of the connected businesses within the digital ecosystem. Whether their main point of contact is through municipal bus companies, regional commuter train operators, long-distance, high-speed train companies, taxi dispatchers, ferry services or airlines, customers will always benefit from all the routes offered within the open business network. All the complexity involved in the booking process to provide this flexibility will disappear and mobility providers can offer their services flexibly through the open platform. To get started quickly, IBM Services and DB Systel first developed a blueprint before implementing a fully functional proof of concept. Under the IBM Blockchain brand, IBM brings together advanced expertise and technology to offer innovative solutions and services built on Hyperledger technologies and supported by experienced blockchain architects and developers from IBM Services who can rapidly turn concepts into solutions. Depending on customer requirements, IBM Cloud services can also be part of an integrated blockchain solution. The central Hyperledger Fabric framework and Hyperledger Composer tool are open source implementations for developing blockchain applications with modular architecture and are hosted by The Linux Foundation, of which IBM is a Platinum Member. Using blockchain technology, IBM and DB Systel benefit from a fully-integrated enterprise-ready blockchain platform designed to accelerate the development with tooling supporting the complete lifecycle of the solution. The tamper-proof and transparent architecture of blockchain technology helps IBM and DB Systel to boost trust between all mobility providers involved. Cryptography is an essential feature of the blockchain, which creates common trust and enables closer collaboration with smooth information flow and real-time transparency, enabling new, faster insights into transaction and revenue data. Daniel Kindler explains: “By taking advantage of smart contracts, we can reduce the need for manual coordination between service providers and establish a reliable solution for distributed automation, driving down costs and speeding up the process. Today, revenue allocations are often handled manually and there is no standard contract framework. The contracts are settled only every quarter, and it can take even longer between some companies. By using IBM Blockchain technology, we can offer 100x faster and dynamic revenue splitting, completing the process within a single day. And after that, we plan to extend this even further and offer real-time insights without any delays." Through its blockchain initiative, IBM and DB Systel are following a three-stage process with the goal of building an open, comprehensive mobility service ecosystem. The companies aim to establish a distributed blockchain platform to offer multimodal journeys without major set-up and coordination costs. 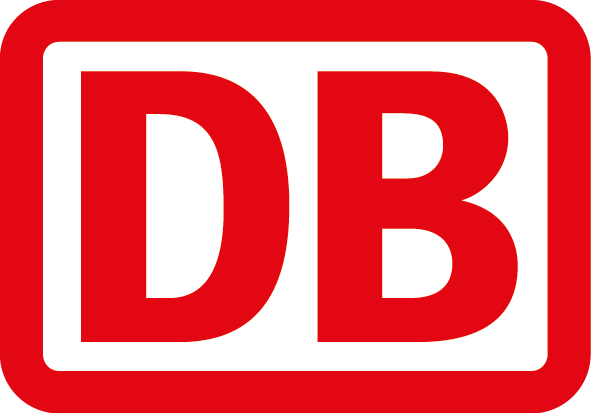 DB Systel GmbH is the IT, digital research and innovation business unit within DB Group, one of the largest global mobility and logistics companies in Europe, managing 12 million passengers per day across all networks and services. Headquartered in Frankfurt, Germany, DB Systel focuses on the latest trends and future technologies including cloud computing, big data, Internet of Things, artificial intelligence and machine learning. The company employs 3,800 people and its parent DB Group achieves annual revenues of approximately EUR40.6 billion (USD50.3 billion).